The bug was rear ended last year, and the motor/transmission combo was pushed forward, shearing the rear transmission mounts off (they are rubber) and severely squishing the front mount. I cut out the old front mount and welding in a replacement; thank goodness they are easily available from online sources, otherwise I’d be fabricating one. I’m documenting my transmission work on video, but I’ve come across a question. 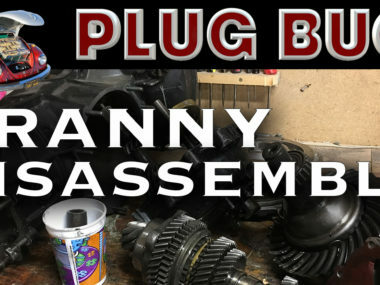 I’m attempting to rebuild an older transmission that pops out of fourth gear. I had bought it on eBay a few years back when having some problems with my leaking main transmission (which I later solved). 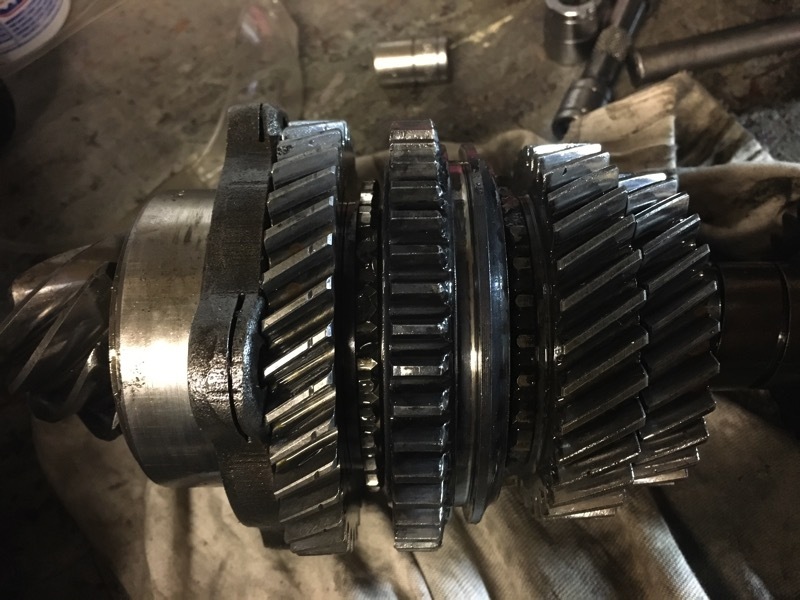 The transmission that was in the wreck has severely damaged ring and pinion gears (probably from the wreck), and some other problems that were under way before the accident. However, it was rebuilt within a year or two, and has good gears and synchros, so I want to re-use them in the one that pops out of fourth. Transmission “A” pops out of fourth. The top gear is fourth gear, and it is missing some teeth. But it appears as though they were explicitly ground down. 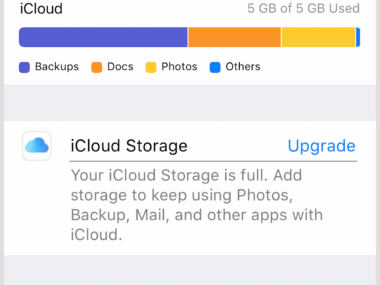 Is that normal? Or did they break off? 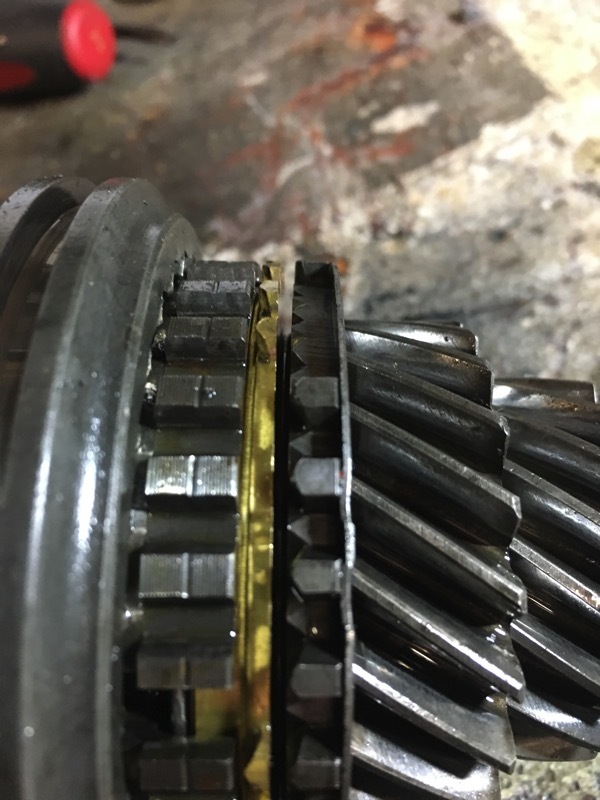 I did find one tooth in the transmission case; so it came from here, or one of the other gears. If I pull fourth off, the missing teeth are obvious and look at the flat surface on the right; it looks like it was welded and then re-ground flat. 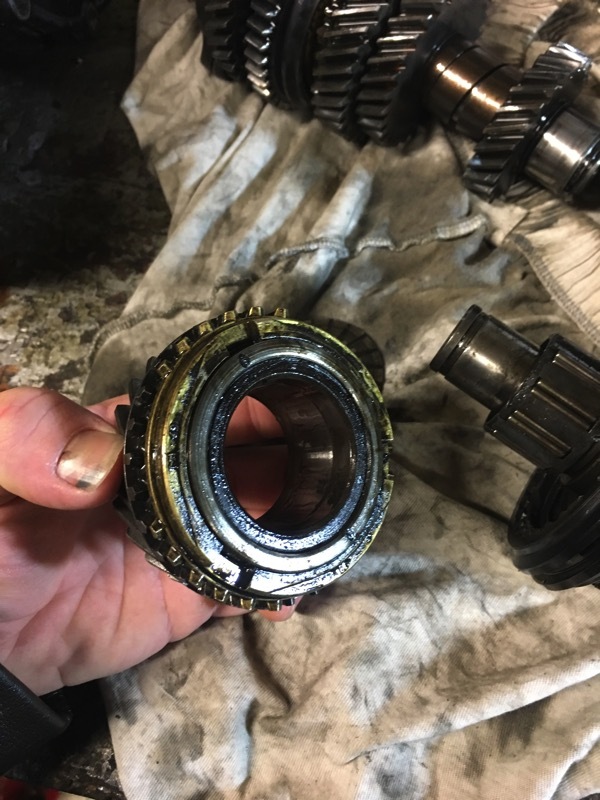 Strange…and the other transmission doesn’t have this done to it. 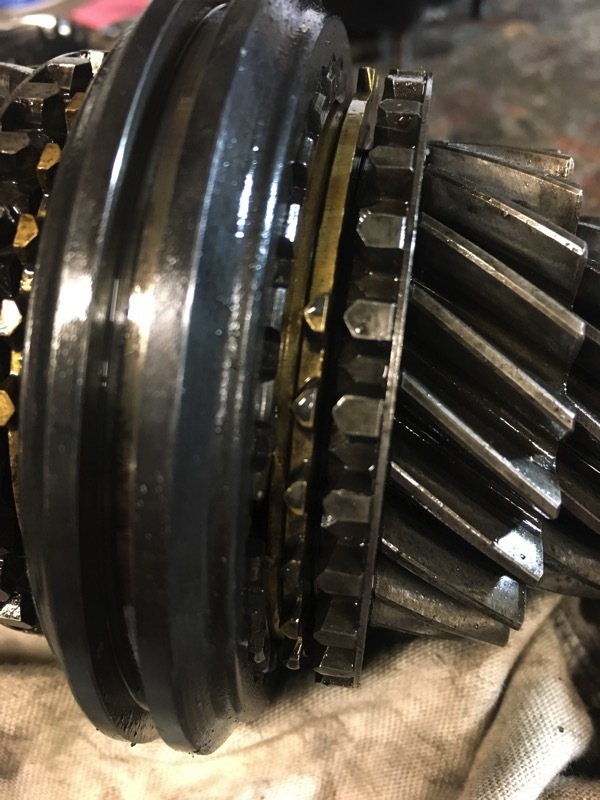 I’ve heard about people welding the gears; maybe this is what is meant…but it doesn’t make sense. I think they mean welding gears to the shaft, not this way. 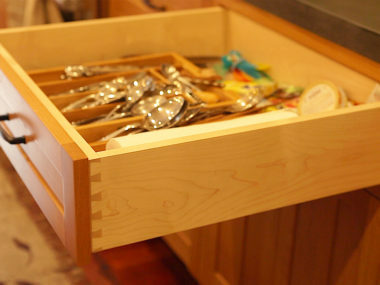 From left to right (right after the slotted retaining sleeve — note that the slot is also strange, is that normal?) 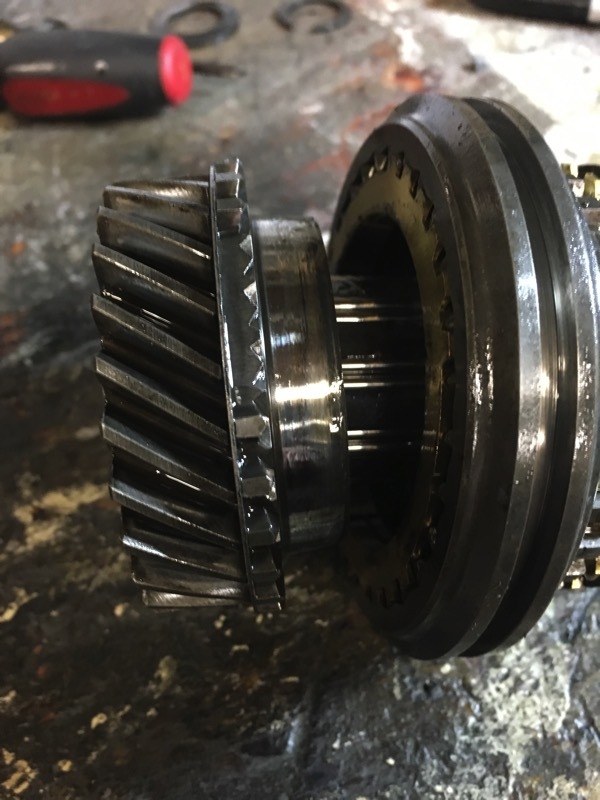 — the gear between the first and second gear is also missing teeth; it is hard to see it in the photo. These don’t look ground down, and may be where the broken tooth came from. 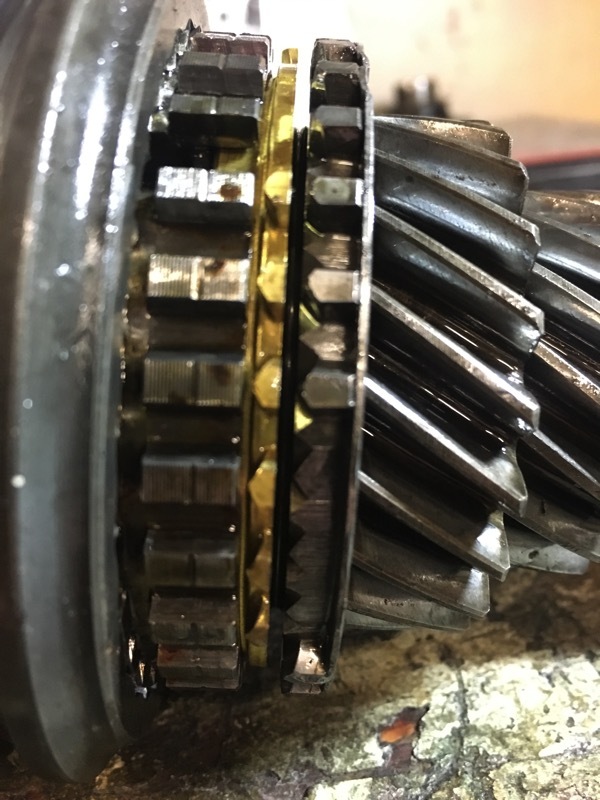 I need to re-use this pinion gear (and it’s matching ring gear, as they are paired), and push off all these other gears and replace them from “B” (below). Transmission “B” was damaged in the wreck, but has good gears/synchros because it was rebuilt by Mofoco transmissions a few years ago. 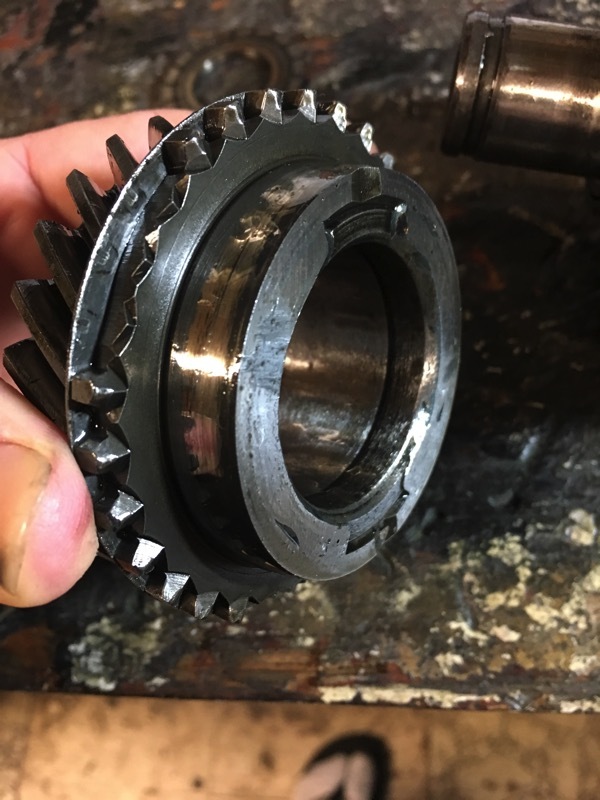 But…I had trouble with it from the start; it burned out *after 20 miles* destroying the pinion gear and they questioned me putting oil in it (I did, of course). 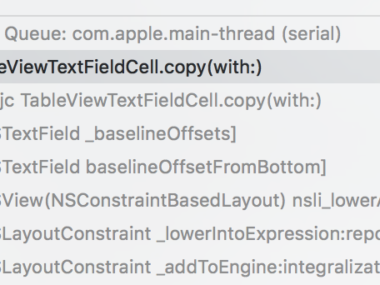 I think something was still up with the transmission (more on this later below). The mating surface is slightly worn from this protrusion. 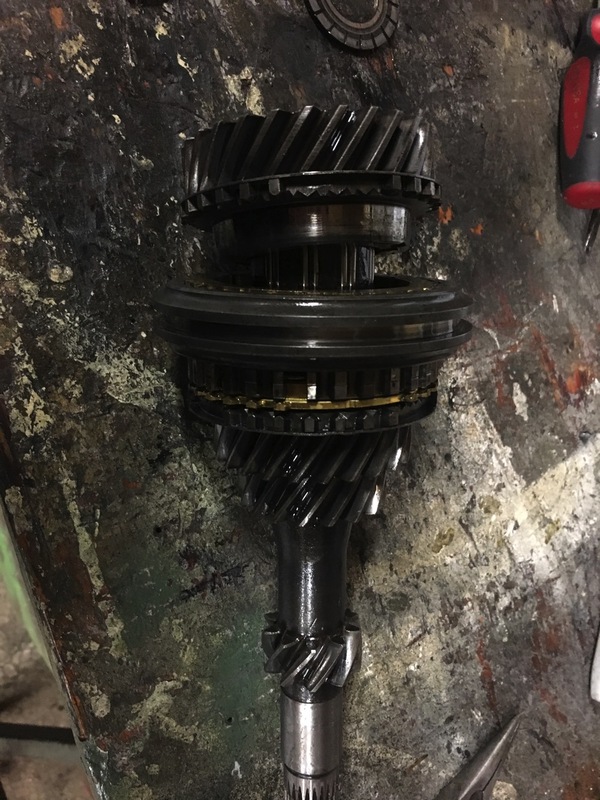 The question: Can I simply drop the entire shaft from this transmission into my other one? Or should I press off all the gears and put them on the other one’s shaft?